MIDTOWN — Signaling defeat for the "World's Most Famous Arena," the City Council voted overwhelmingly Wednesday afternoon to limit Madison Square Garden's new operating permit to just 10 years. The vote, 47-1, came as the final step in a months-long process to renew the Garden's 50-year permit, which expired in January. The permit ignited a long-running fight between local leaders seeking to move the arena to make way for an expansion of Penn Station and the Dolan Family, which owns Madison Square Garden and had sought a permit lasting "in perpetuity." The Garden has been operating with a temporary certificate of occupancy for some 18,000 people for the past seven months as its permit application moved through the city's Uniform Land Use Review Procedure. "Madison Square Garden has to move, and this legislation shows that that work needs to begin now," Council Speaker Christine Quinn said at a press conference ahead of the full council vote. "The 10-year plan will give enough time to implement a plan for the arena and the rest of the area." 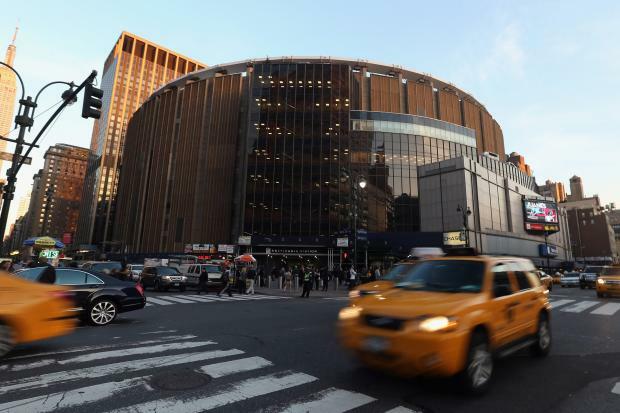 Officials with the Madison Square Garden Company previously said MSG was "being held hostage" by the proposed limit on the new permit, but on Wednesday the company issued a more positive statement. Community groups hailed Wednesday's vote, calling it a critical first step for transforming Penn Station into a "21st-century gateway" for New York City. Currently, the station serves 600,000 passengers per day and is North America's busiest rail station. "This starts to achieve what we need to do at Penn Station," said Vin Cipolla, president of the Municipal Art Society, which was among the most vocal advocates for moving Penn Station and helped form a Regional Plan Association for rebuilding Penn Station. Wendy Pollack, director of public affairs for the RPA, agreed, calling the decision "a momentous first step." "No one ever says, 'Let's go have a drink at Penn Station,'" she told DNAinfo New York. "But if you look at Grand Central, it's the opposite. Transit hubs have the potential become economic magnets and economic engines. Instead, we have something that's an economic drain." Quinn's support, in particular, was instrumental in restricting the Garden's new permit to just 10 years, officials and observers said. "She was a 100 percent the factor," Municipal Art Society policy director Raju Mann told DNAinfo in June. "There's no one person who matters more in this process than Quinn." The 10-year limit was initially recommended by Community Board 5 and subsequently supported by Borough President Scott Stringer. The City Planning Commission in May instead suggested a 15-year limit that also would have included a loophole allowing MSG to ultimately win a permit in perpetuity. That suggestion quickly vanished once Quinn entered the debate on June 19 by calling for the creation of a multi-agency "Commission for a 21st Century Penn Station" to study relocating the Garden and rebuilding Penn. Amtrak, which owns Penn Station, reissued the joint statement it has used with New Jersey Transit and the MTA since the start of the debate. "Amtrak, MTA Long Island Rail Road and NJ Transit look forward to continuing to work with all parties to develop meaningful improvements to the customer experience at the nation's busiest rail station," the agencies said.